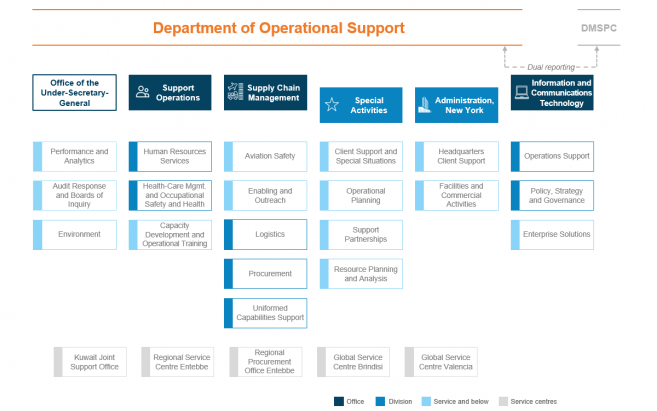 The Department of Operational Support (DOS) provides operational support to all UN Secretariat entities, including advisory, operational and transactional support services and, where needed, exercises delegated authority on behalf of clients. DOS supports the entire UN Secretariat, consisting of almost 100 entities located around the globe. 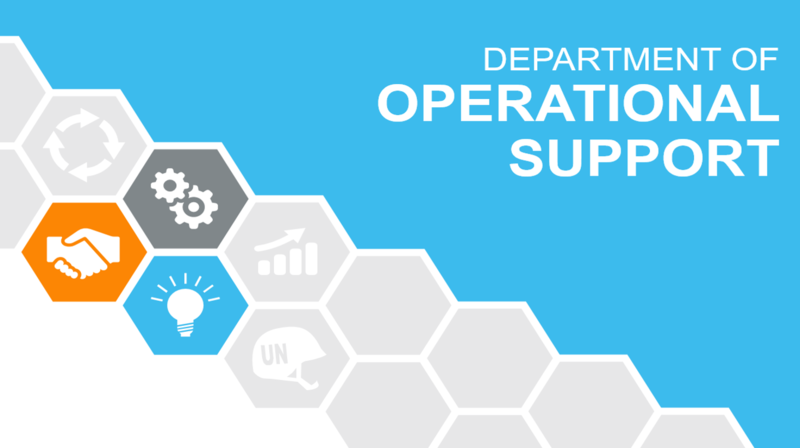 The Department for Operational Support was established on 1 January 2019 as part of the Secretary-General's Management Reform. 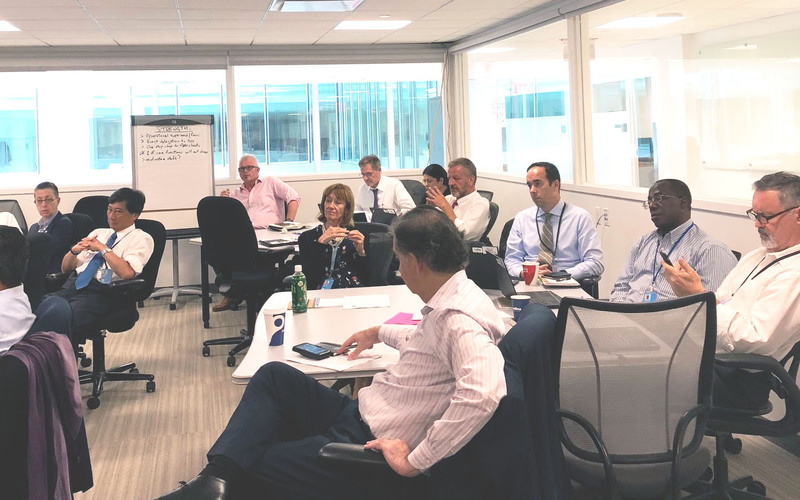 DOS plays a key part in supporting a United Nations that is more agile, effective, transparent, accountable, efficient, pragmatic and decentralized to better support its organizational and operational activities. The Department of Operational Support is based on five pillars - three offices and two divisions - in addition to the Office of the Under-Secretary-General. Approximately 1200 civilian staff work in UN Operational Support at the UN Headquarters, supporting operations globally. 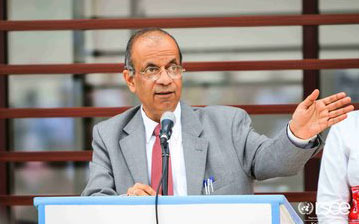 The Department of Operational Support is currently led by Under-Secretary-General Mr. Atul Khare. The Department has three Assistant-Secretary-Generals: Ms. Lisa M. Buttenheim for Support Operations, Mr. Christian Saunders for Supply Chain Management, and Ms. Atefeh Riazi for Information and Communications Technology, who has dual reporting line to DOS and the Department of Management Strategy, Policy and Compliance.